4. The World According to Garp by John Irving. 5. A Long Way Gone: Memoirs of a Boy Soldier by Ishmael Beah. 6. Updike by Adam Begley. 15. The Pecan Man by Cassie Dandridge SelleckWhat books are on your to-read list? I am always looking for good books so thank you for sharing these! I will be adding them to my Good Reads List! A Heartbreaking Work Of Staggering Genius is BY FAR one of my favorites. I think you will love this book! I have also read Orphan Train and The Light Between Oceans – both really great. I am going to have to add a few from your list to my Goodreads list! Thank you for sharing! I can't wait to read them! You're welcome! I haven't read any of these! Saving this! I read The Kitchen House last year and absolutely loved it! I can't wait to get to it! 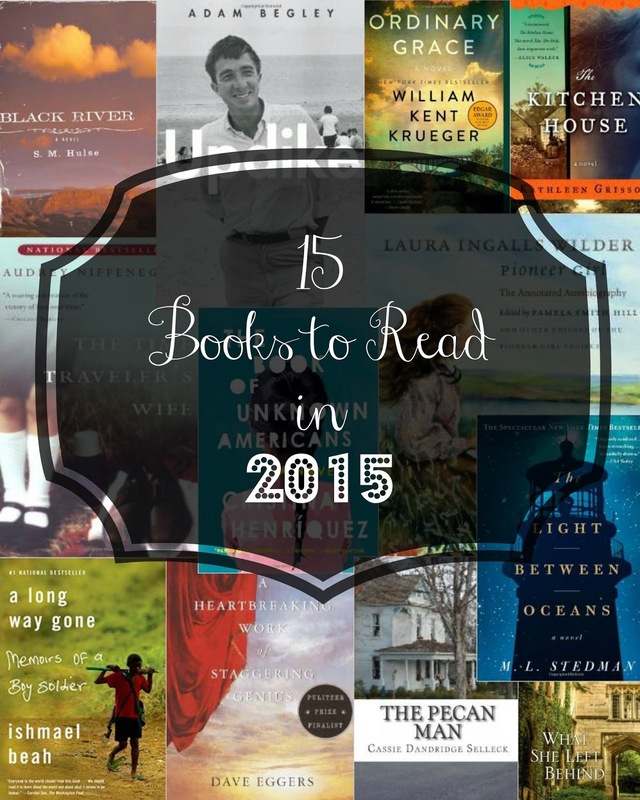 I've read The Light Between Oceans and Orphan Train and both were very good! Orphan Train ends a little rushed but it's a great book. I loved them both. Happy Reading! You'll have to let us know what you think of them! I've read A Long Way Gone….heartbreaking does not even begin to describe it, but very well written and worth reading. Several of these are already on my "to read" list, but I added a couple more. Thanks for the list…I love seeing what others are reading! Im reading a book called "The Paris Wife". Its an utterly breathtaking story set in the 1920's. I HIGHLY recommend it.